June 22, 2010 is officially the first day of summer. It’s the season of warm temperatures, blue sky days and starlit nights. OK, so maybe summer days and nights in San Francisco might be a little out of kilter due to socked in fog fronts, strong whirlwinds along with a scattering of misty morning sunrises. 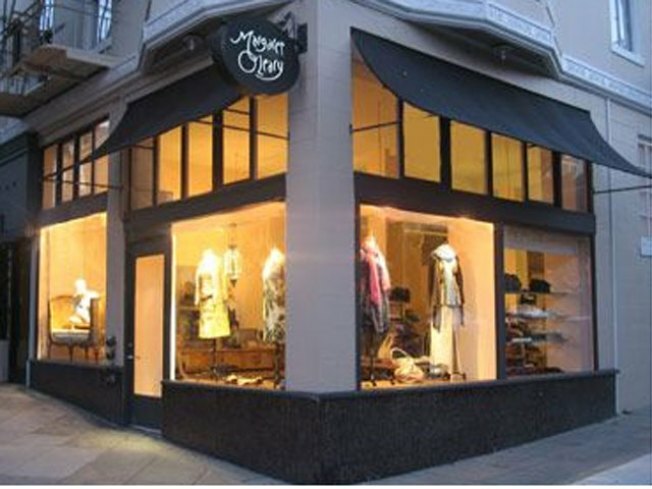 That said, be practical and celebrate the arrival of Summer in OUR City with a well deserved shopping spree at Margaret O’Leary’s flagship boutique on Upper Fillmore Street. Newcomers are in for a treat and loyals are already looking forward to the current season of wearables presented by this gifted local designer. The old adage 'practice makes perfect' comes to mind when describing the collection of knitwear separates and dresses Margaret O’Leary has been creating for 20+ years. Her signature look is understated, refined and sophisticated. Season after season, Margaret pays attention to all the current trends and combines them with her expertise in flattering details. The newest groupings include lightweight cottons and linen-silk combos to create cardigans, tops, tunics and dresses. It all adds up to in-vogue fashion designed with attitude as well as style in mind. Margaret O’Leary and M.O.L Knits are the central axis at her attractive shops. But it doesn’t stop there. The collections are backed-up with carefully selected merchandise from other prestigious manufacturers such as the Italian line Dondup and Los Angeles based Stewart & Brown. Along with a line up of jewelry designers including Petaluma based Robindira Unsworth, Margaret O’Leary creates a totally chic fashion statement whatever the season.